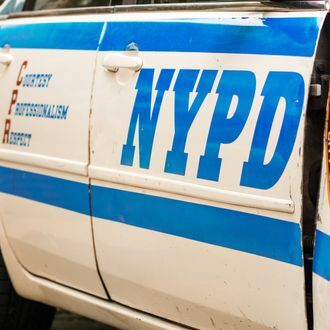 A police cruiser attempted to shoo a group of black teenagers out of Park Slope on a Saturday afternoon by shouting “get out of the neighborhood” at them over the car’s loudspeaker, according to a witness. Their “crime”? Being a group of black teenagers in Park Slope. A Brooklyn resident named Sara Bennett raised the incident at a 78th Precinct Community Council meeting last night, DNAinfo reports. Bennett says she witnessed the cops follow a group of five or six kids who appeared to be around 16 years old and were simply walking through the neighborhood around 2:45 p.m. The squad car turned its lights on and told the teens to leave the area. Commanding Officer Captain Frank DiGiacomo said he hadn’t heard of the incident, but brought up growing crime around the Atlantic Terminal area as a potential explanation. Of course, that’s about a mile and a half away from Ninth Street between Sixth and Seventh Avenues, where the incident happened, but who’s keeping track? From that statement we can deduce that (1) Black teenagers do not belong in Park Slope, (2) Black teenagers must always be doing something “productive,” (3) Black teenagers are not allowed to do things white teenagers do, such as walk down the street. 2014, everybody!